I bought mine last week Thursday from B&H an it arrived today ;-). I will post some pictures this weekend after i post my xti Thailand trip pictures. ISO sensitivity is really good! Just my opnion but I think Canon have decided that 10.x MPs is the "sweet spot" for most production photography. You don't need more than 10 MP for magazines, newspapers or the web so they upped the ante with other features like the self cleaning sensor, very high speed FPS, etc. I know the Mark III is fast, wethersealed and some kind of live preview. 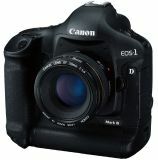 Compared to my (almost) old Canon 5 D Mark III hasn´t got a fullsize Cmossensor. Do anuone have knowledge about how they compare to each other im pure technical picture quality. 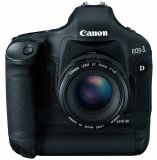 According to 5 D:s bigger sensor it may be better. All my mark3 picture changed to Canon 1D instead when I added my 400mm 5.6, strange. Have now manully changed the exif to Mark3. But this page take for ever to be updated with more mark3 picture so I give my link instead. 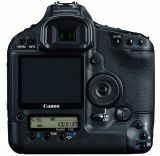 I can't wait to get my hands on this cam! And the new flash looks handy too. Where did you order?! I have yet to find a place to preorder. Just ordered one of these beauties!.....4 week waiting list though.